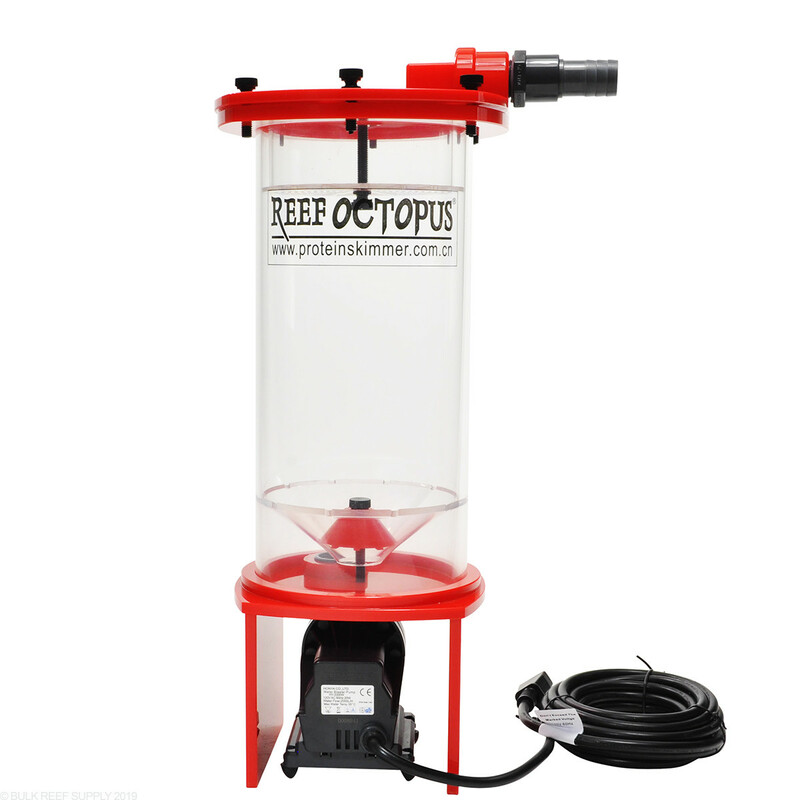 Reef Octopus his a home run with their Space Saving biopellet reactor. The hard part of matching the proper pump to the reactor has already been done as they do include the correct size pump with the reactors. Created especially for the aquarist with limited space. 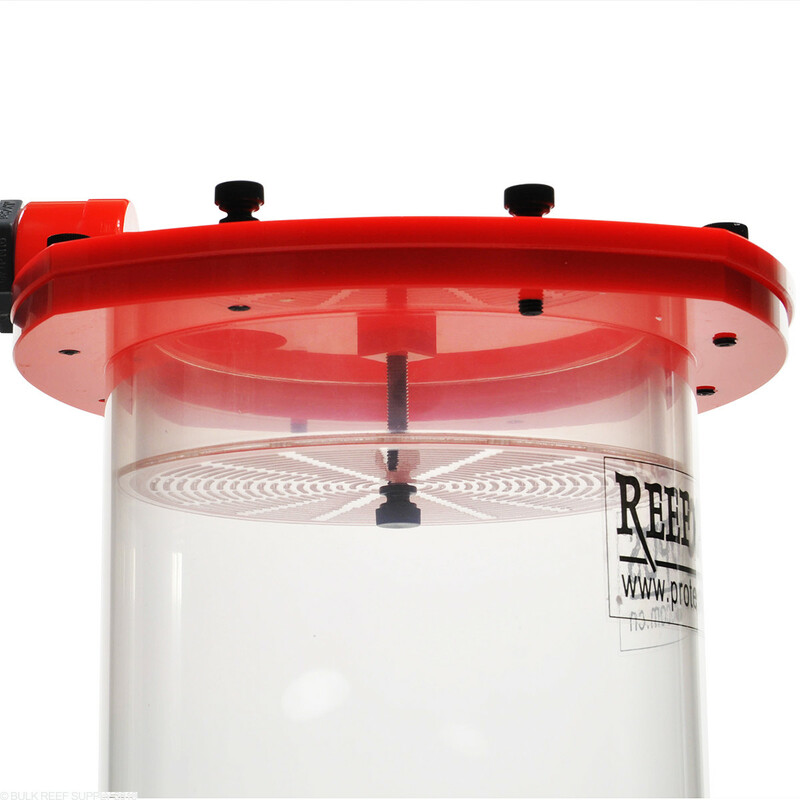 Reef Octopus All-in-One Space Saving reactors are simple to setup up, saves valuable space and conserves costly energy. Powered by an energy efficient water blaster pump to provide the correct amount of feed flow for the biopellet media. Created especially for the aquarist with limited space. 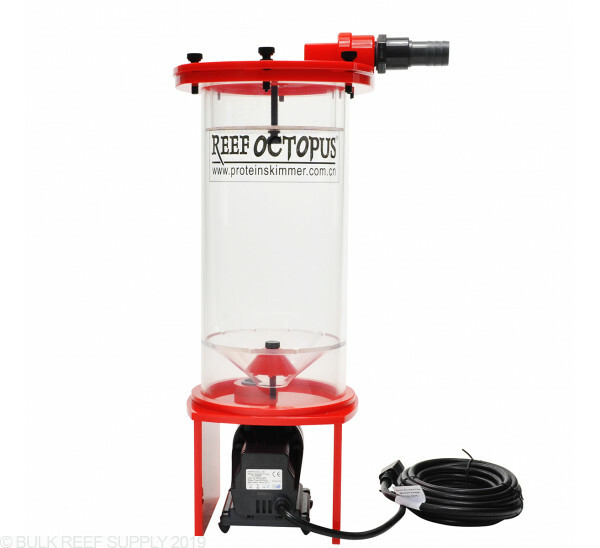 Reef Octopus All-in-One Space Saving reactors are simple to setup up, saves valuable space and conserves costly energy. Powered by an energy efficient water blaster pump to provide the correct amount of feed flow for the biopellet media. Water is directly injected into the media chamber enhancing the pumps performance and provides even distribution of flow through the media. The water inlet /bottom chamber’s is a specially engineered structure that prevents the media from exiting the chamber and entering the pump when the power is off. 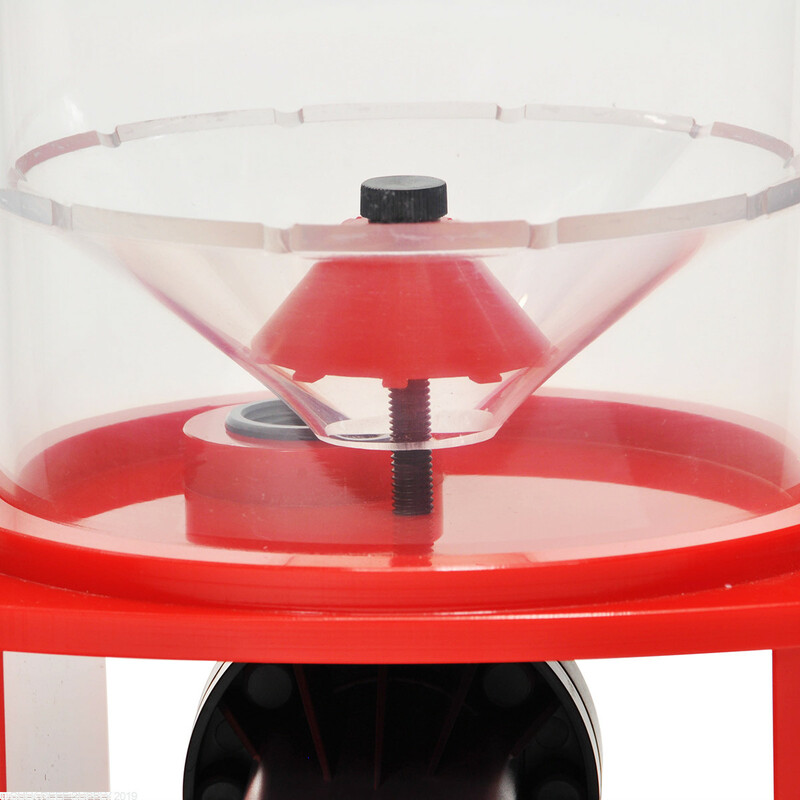 A rigid sieve plate fixed on the top cover to prevent the leakage of pellets through the output of the unit. Unique in design this reactor doesn’t have a pipe in the middle of chamber making it super easy to remove the cover to refill the biopellet media. The cover has four install orientations, makes it easy to be set up in your sump. Easy to maintain. Also it tumbles the media as expected. You have control of the tumble with an easy adjustment of the in take valve. All of these need to be cleaned every few months. This model is easy. I highly recommend. I was tired of trying to figure out a way to get my TLF550's to work reliably as biopellet reactors. I decided I had enough and picked up the biochurn for my my 400 gallon mixed reef. It was super easy to setup and works like magic. That price though. Ouch. this unit does exactly as it says, saved me TONS of space. i did have an issue with the rubber O-ring not fitting in the groove so i tossed it in the freezer to shrink it a bit and it was good to go. and holy crap is this thing SILENT. love it. expensive for sure but worth ever penny in my book. The space-saving design is awesome in the very constrained sump of my Red Sea Reefer 350. It was easily plumbed directly to the input pump of my protein skimmer. My only complaint is that there is no mechanism to easily dislodge the pellets that get stuck against the top grate. Some kind of stirring bar accessible from the outside would be a great addition. Already seeing the nitrates slowly coming down and the algae growth vanishing. Great addition!!! I ordered the 2000 which arrived damaged, when I called they upgraded me to the 3000 at no additional charge. In my opinion that is exceptional customer service - which BRS delivers all the time. This reactor, in my opinion is expensive, but with the DC pump, makes it a no brainer. I have had this reactor running since April 2014. It has not made a dent whatsoever in my nitrates. and I barely feed my poor fish. the tank consists of a medium PBT, small hippo, two maroons, six line wrasse, hawkfish, flame fish, royal gramma in a 280 gallon tank with plenty of live rock. A lot of the live rock is Pukani from BRS and that stuff leaches phosphates like crazy. I even cured the rock for six months. So it could be that the reactor just can't keep up with the pukani nastiness. The instructions are pretty much worthless and do not tell you how much media to use, how much the media should be tumbling, or how long before you can expect to see results. I had much better results with a sulfur reactor and I will probably go back to that. I must admit this is the first biopellet reactor I have had but I cannot imagine anything being easier to set up or built better. I have had it up and running for several weeks now with no problems. Typical of Reef Octopus, the product is excellent. 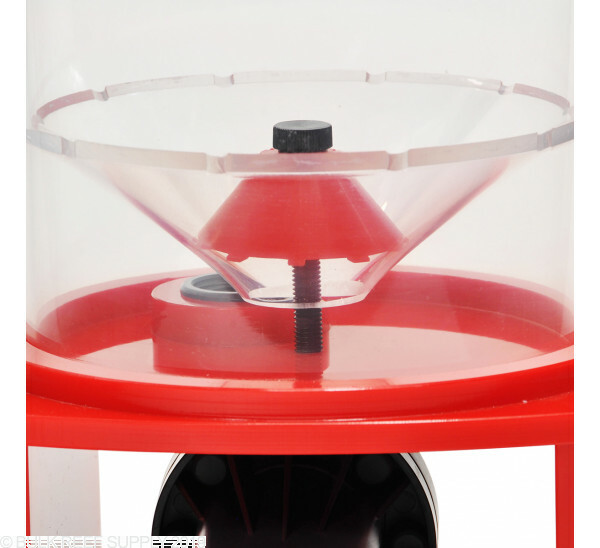 The amount of churning action is incredible, and it is very quiet and compact. I had very little room in my sump, so the space-saving aspect was great. Installation instructions were non-existent. There was a sheet included that really told you nothing, and I could not find anything online. No idea how much pellets to put in it. I relied on the BRS container for a recommendation according to tank size, but I'm not sure what the correct amount is for the reactor. There was no strainer for the intake as pictured, but there was some strange valve included with no explanation as to why or how to set it. There was also no outlet parts other than a hose barb fitting, and it's up to you to install PVC (that's what I did), or buy a hose to put on it. Takes up a limited amount of space and tunbles biopellets better than any other octopus biopellet reactor I've had. I recently purchased this for my 120. 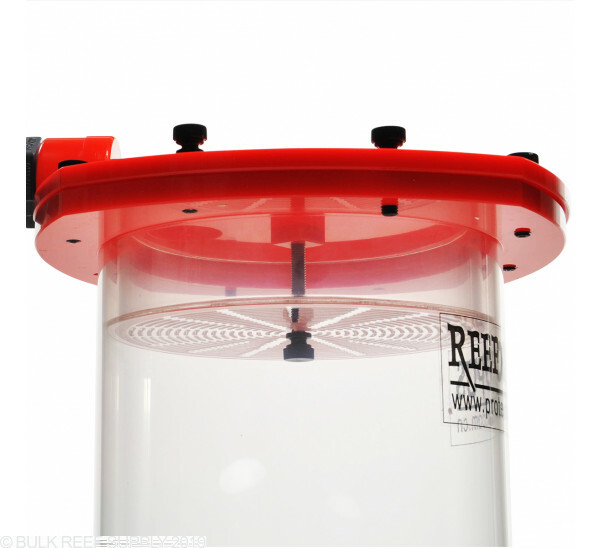 The only additional things you will need is PVC/reinforced tubing to plumb the unit to the vicinity of the inlet of your protein skimmer. In addition to this it is recommended that the reactor be placed in a shaded area. My fuge is lighted, so I felt it best to block out the light to the cylinder of the reactor. This was an easy DIY. I just used some opaque material to make a sleeve to wrap around the cylinder and used nylon cable ties to clamp it. The material I chose was 1/64" black neoprene sheet. Works like a charm. I cut the sheet a little short so it does not fully wrap around and have a slit that is used to view the media and ensure it is tumbling. This unit does come with a valve that screws into the inlet of the pump to control your flow. Takes up limited space, easy to set up and does a great job.